San Antonio Bankruptcy Law Office. 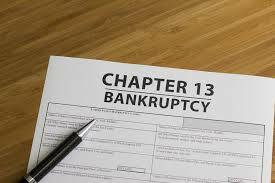 Are you unsure if you qualify for Chapter 13 bankruptcy? Schedule your FREE consultation today and find out!. Chapter 13 is designed to let debtors structure a realistic repayment plan, Chapter 13 bankruptcy is one solution for individuals earning a regular wage. From collection problems to wage garnishment, Heidi McLeod Law Office, PLLC can help you with them all! Overwhelmed by debt? Turn to Heidi for guidance. Attorney Heidi McLeod has over 25 years of professional legal experience and is Board Certified in Consumer Bankruptcy by the Texas Board of Legal Specialization. Former president of the San Antonio Bar Association. Let Heidi McLeod Law Office, PLLC help you start piecing your finances back together and build a brighter future today. I understand no attorney client relationship is established by sending an email. I consent to Heidi McLeod Law Office PLLC collecting my details through this form. I am a debt relief agency. I help people file for bankruptcy relief under the bankruptcy code. Board certified by the Texas board of legal specialization in consumer bankruptcy law.